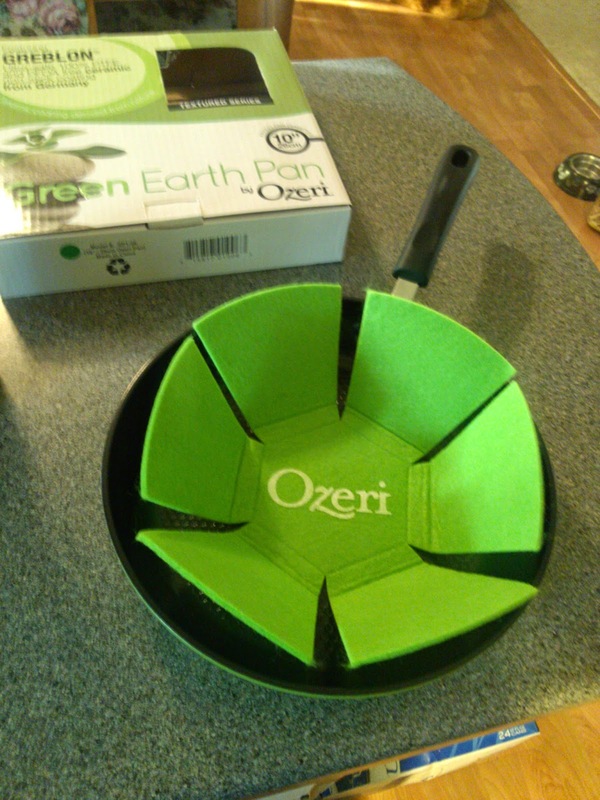 The Green Earth Pan by Ozeri is a 10" frying pan made with Greblon, a non-stick ceramic coating from Germany. It's made of a heavy-gauge die-cast aluminum and heat resistant silicone handle. The surface of the pan is textured with a pattern that ensures it is non-stick and distributes heat evenly. This is hands-down the best frying pan I've ever owned. Not only is it heavy duty and durable, but it's actually non-stick. Many pans claim to be non-stick, but don't live up to their claims. This one does. 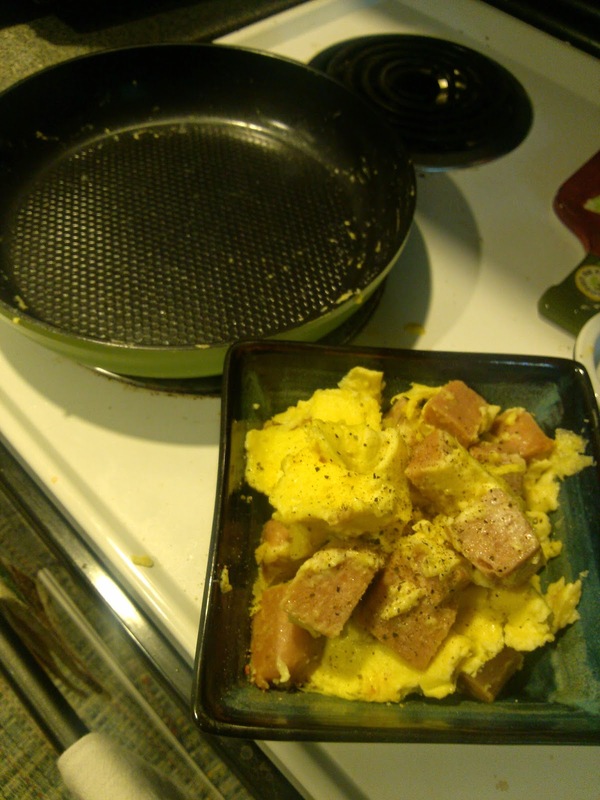 Even scrambled eggs didn't get stuck to the sides! I am very impressed with it, and use this pan for almost everything - from eggs and bacon to taco meat to chicken and stir fry. The best part is that the coating does not release any toxins or harmful fumes into the environment, no matter how high the heat gets. 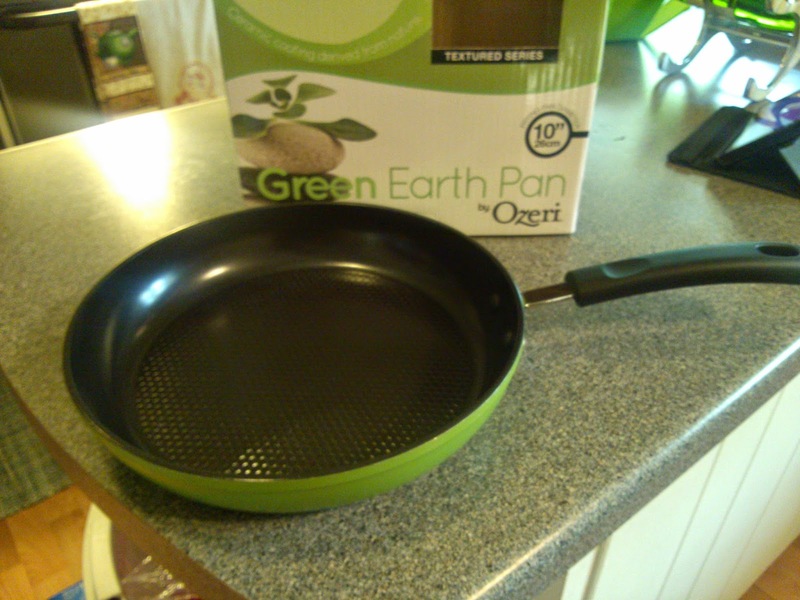 This Ozeri Green Earth Pan is dishwasher safe, although I do hand wash it to keep it nice. I really appreciate the pan liner that came with it, so that it won't get scratched by other pans in the drawer. It comes in 8, 10, and 12" sizes. I received this product in exchanged for an honest review.